Купите тур в Европу и Вы никогда не пожалеете о вложенных средствах в отдых семьи. https://kartina-tv.tv картина тв проверка скорости картина. Through all changes that have happened over the last few months, it is good to see that at least one thing remains the same. The consistency of Cage Rage in Kokomo to give us good and exciting shows has remained. Terry Gruel and Donnie Michaels have once again presented a well organized show with good match ups. 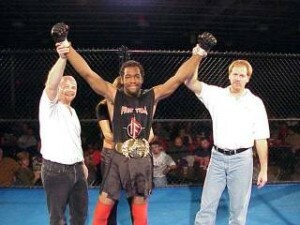 Five belts were on the line including a title defense by the ISCF Indiana State Middleweight Champion, Todd Kiser. The other titles, Lightweight, Middleweight, Light Heavyweight, and Heavyweight, were decided by four-man tournaments. Combatants from all over the Midwest were there to test their skills. Present to advise their fighters and to greet the crowd were Mark “The Hammer” Coleman, Dan “The Beast” Severn and Becky Levi. All the celebrities were more than happy to sign autographs and pose for pictures with, 1600 plus, members of the audience. The crowd at Kokomo has been enthusiastic and knowledgeable at past events and this one was no exception. All the fighters received big welcomes when they were introduced. The crowd nearly exploded with cheers after each fight, showing their appreciation for the effort exhibited. Mark Coleman’s ‘Hammer House’ was well represented with Scott Shipman, Columbus, OH, winning the Cage Rage Light-Heavyweight title and Nate Burris, Columbus, OH, winning his superfight against Fort Wayne native, Tim Heidenrich. Jason Godsie’s Integrated Fighting showed well with Chris Jones’, Indianapolis, IN, capturing of the Middleweight Title. Aaron Sullivan, Indianapolis, IN, handly won his match against Jeremy Brown, Delphi, IN. The Cage Rage personnel knew what to do and how to do it. They should be commended for the job they did. The show ran a little long but with the amount of fights presented, it was expected. Our only suggestion would be to spread out short intermissions rather than take just two very long ones. The date for next Cage Rage has not been set but we are looking forward to being there when it arrives. Watch for it in our calendar of events.